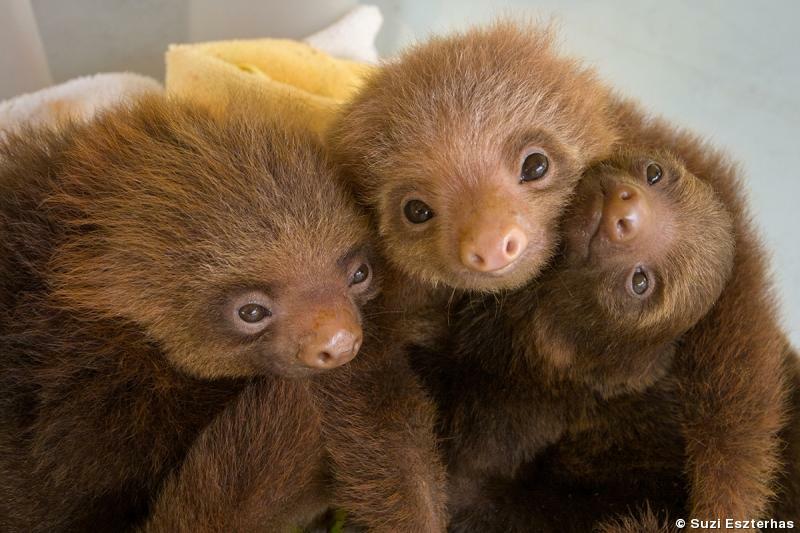 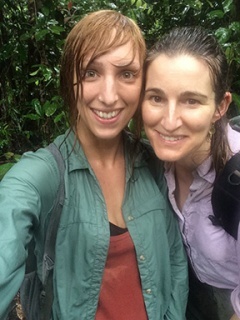 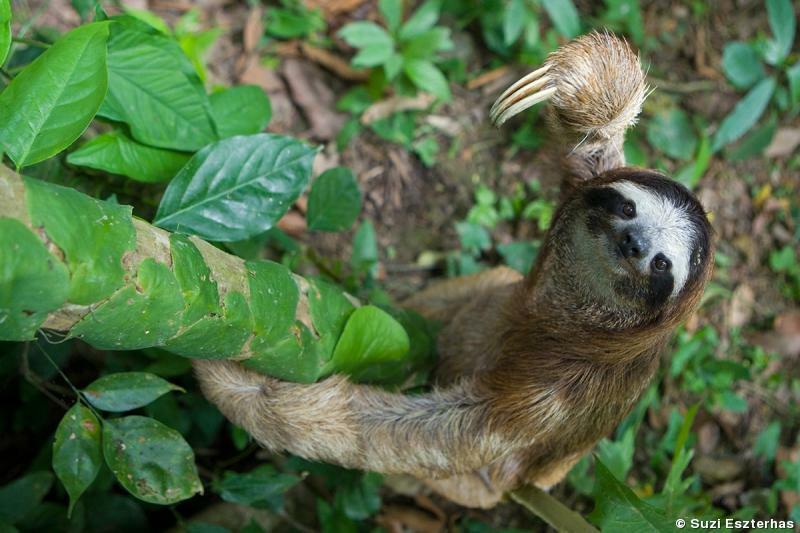 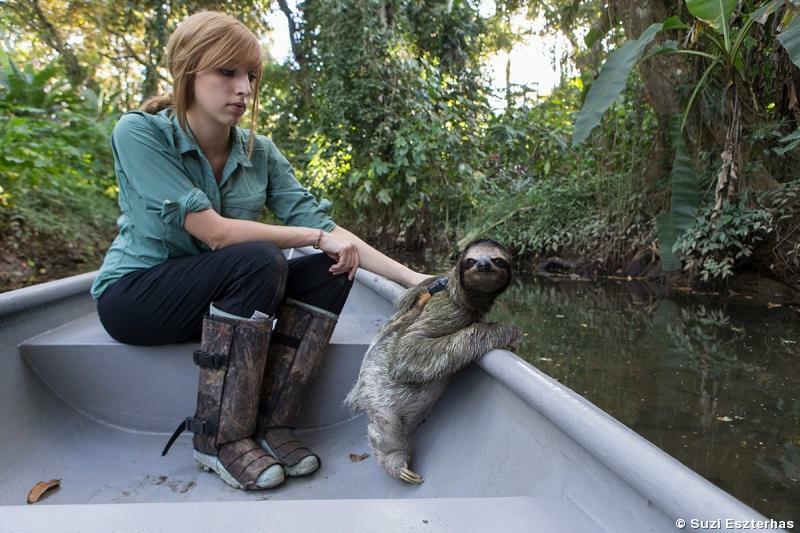 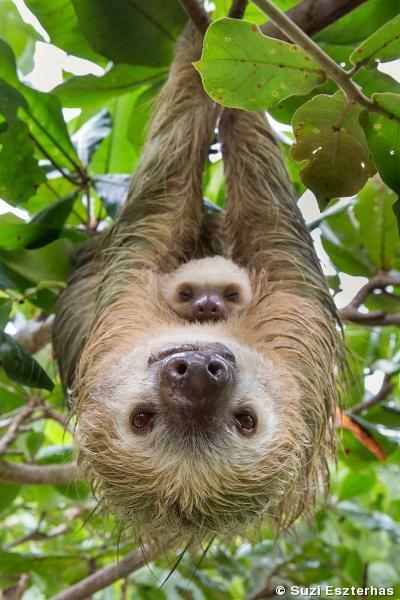 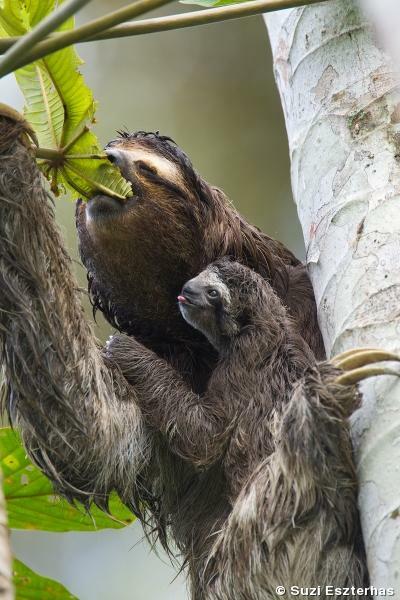 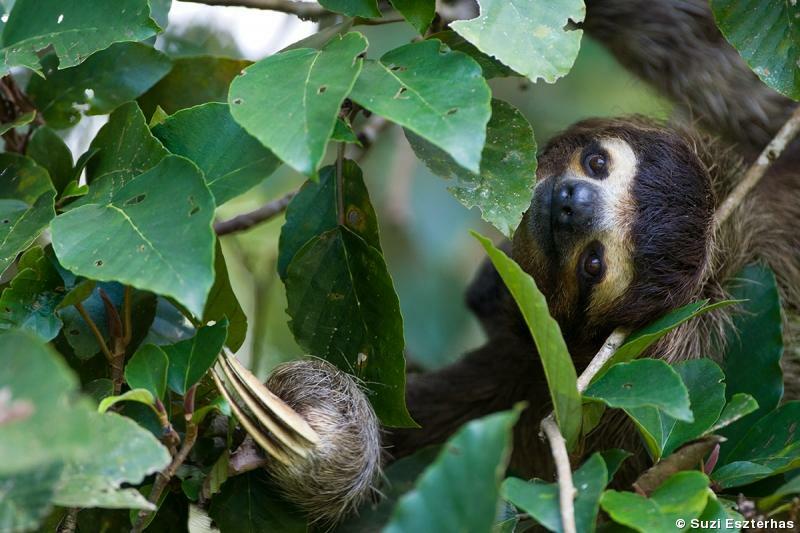 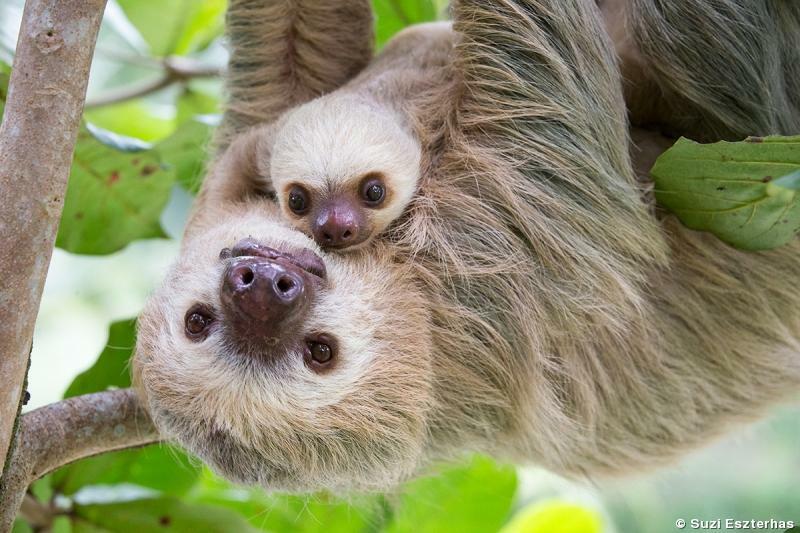 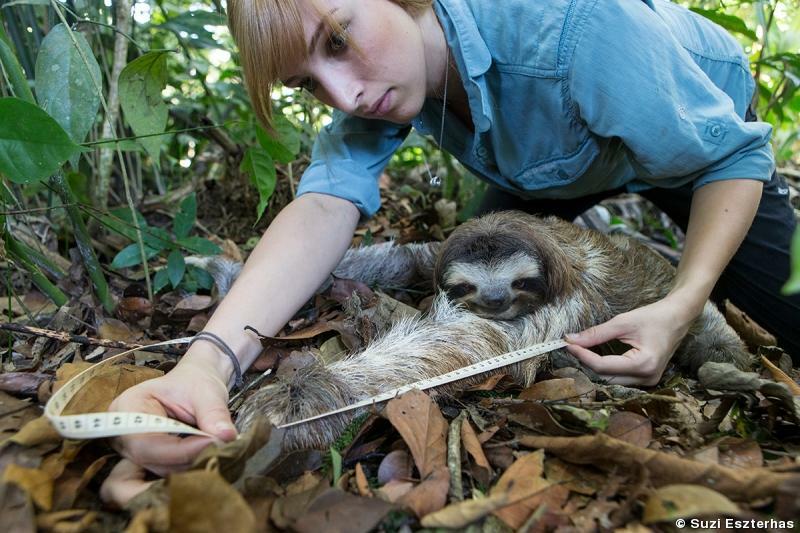 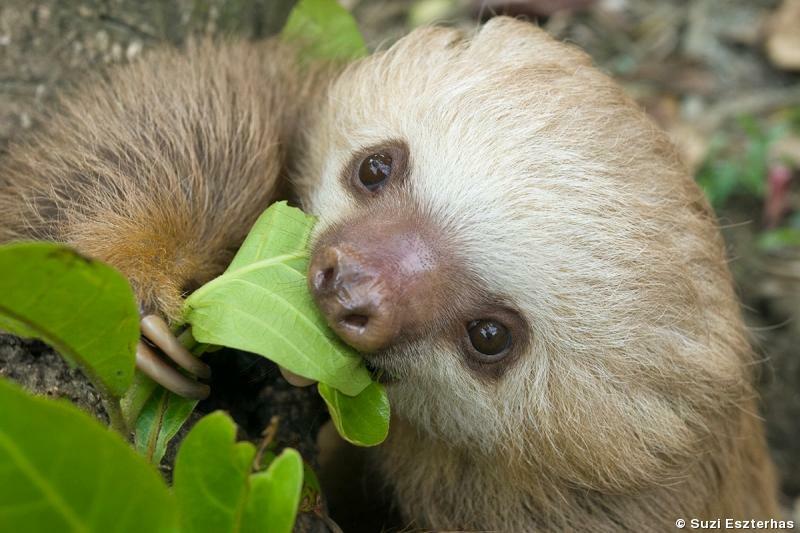 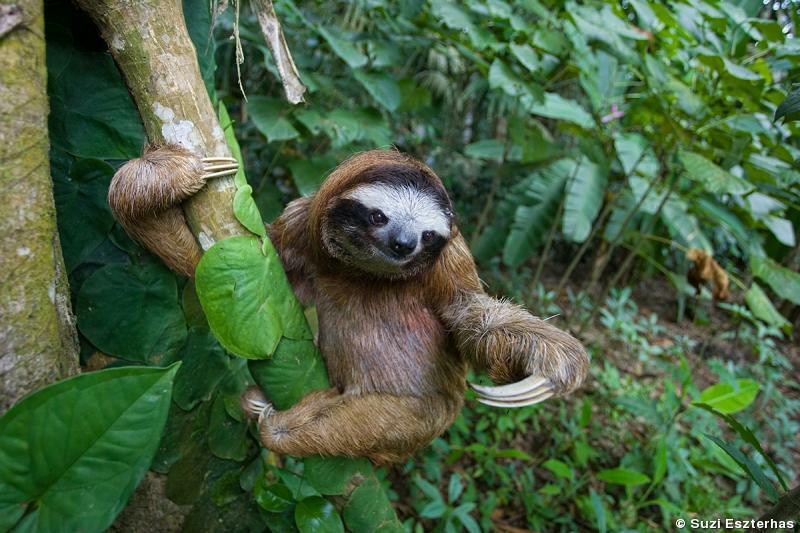 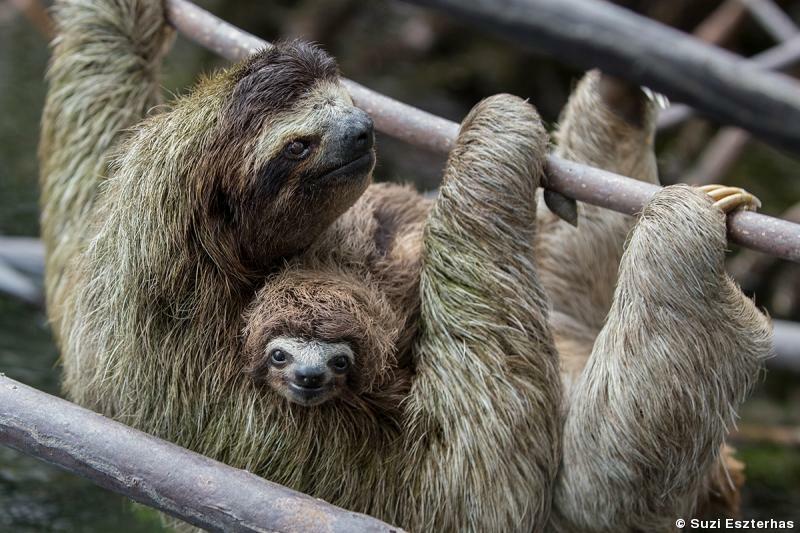 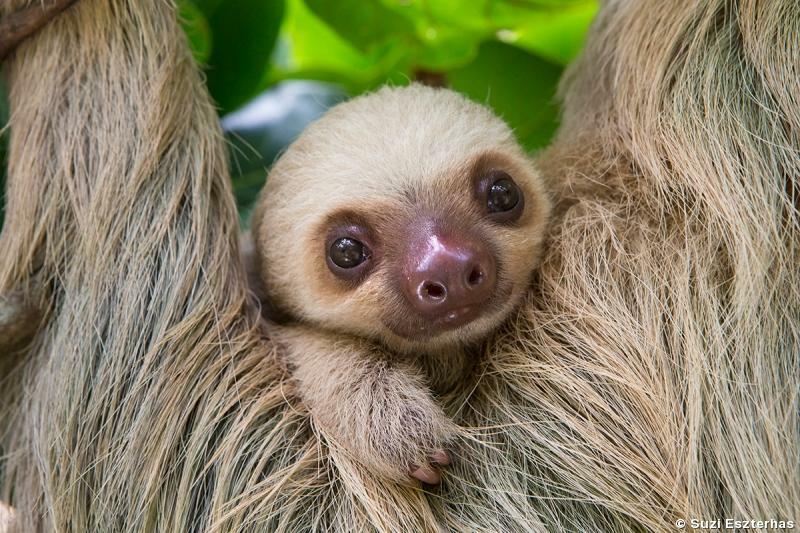 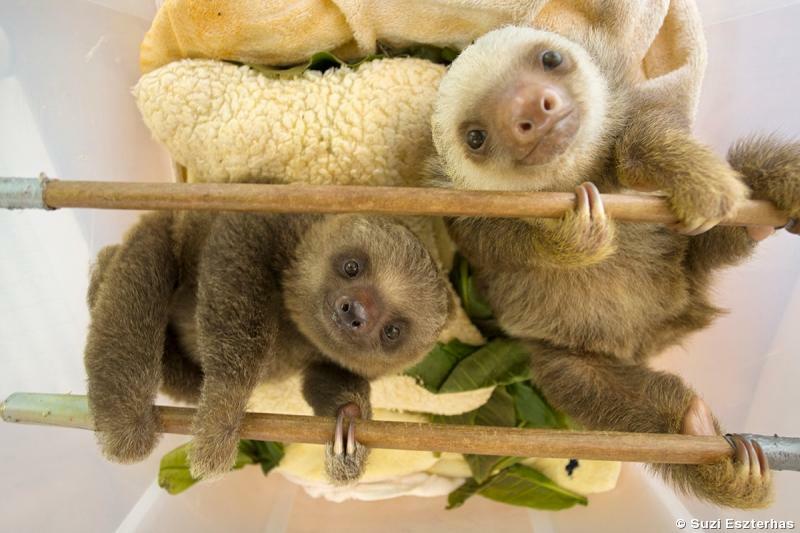 Wildlife photographer Suzi Eszterhas’ new book “Sloths: Life in the Slow Lane” was dreamed up while lying on the rainforest floor with researcher Rebecca Cliffe, founder and director of the Sloth Conservation Foundation. 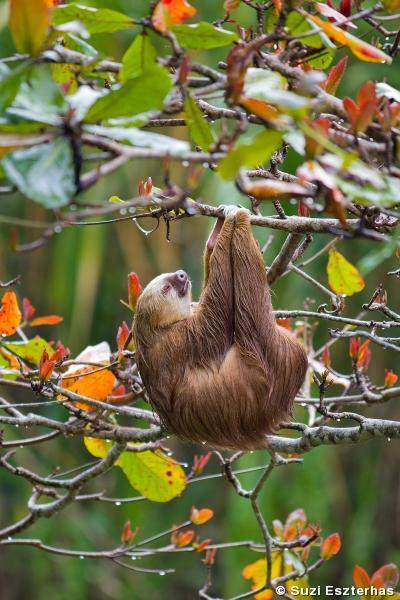 Locating and photographing sloths is challenging and tedious work. 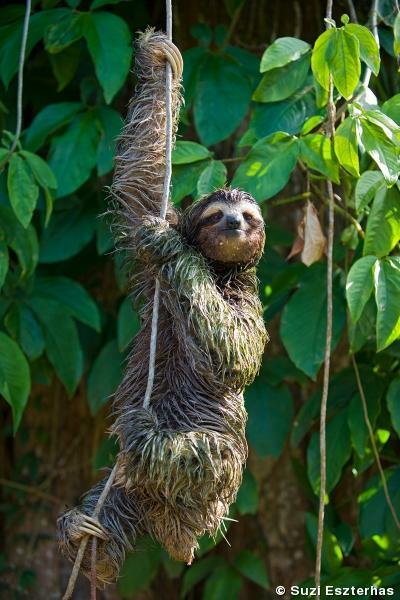 It requires slow, quiet walking, craning one’s neck to search the trees above. 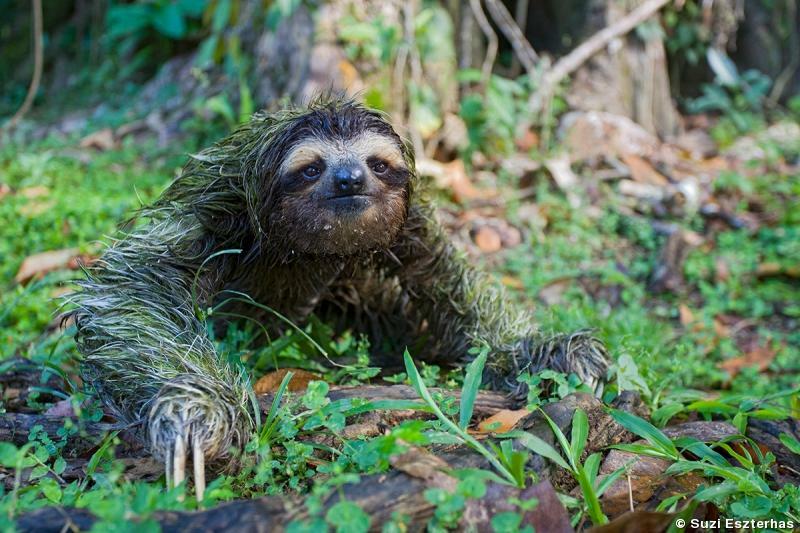 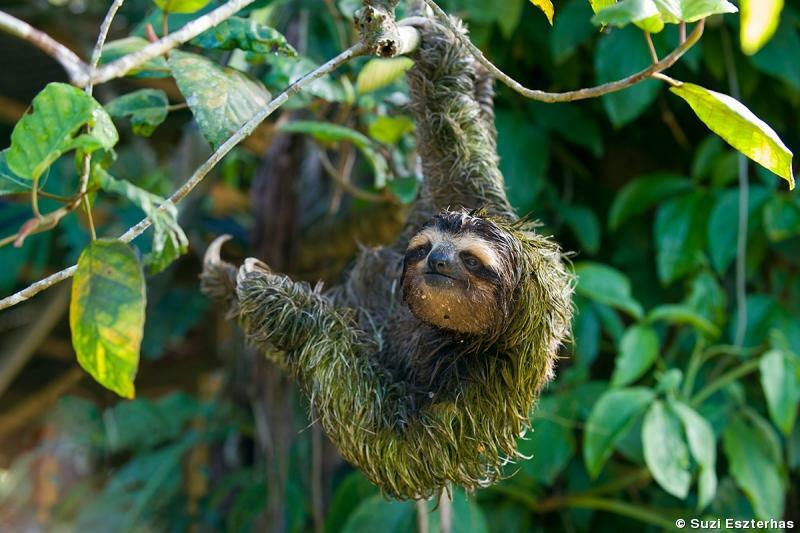 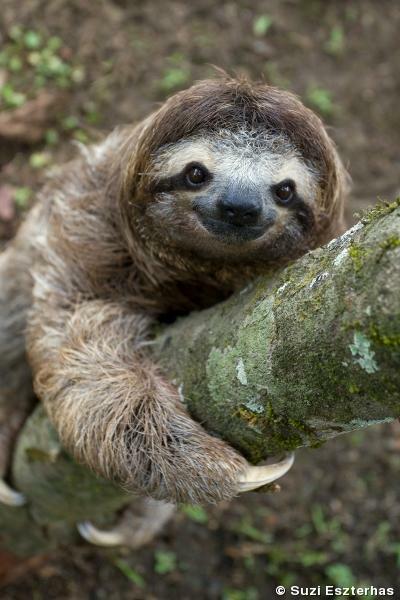 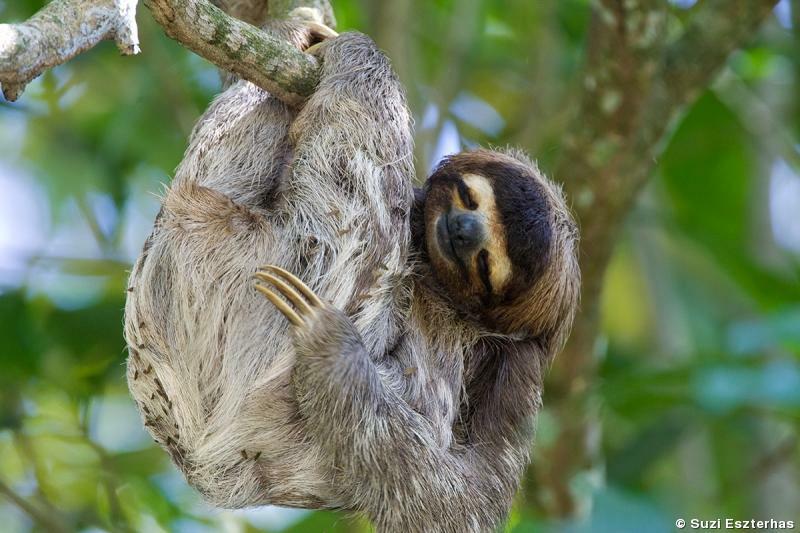 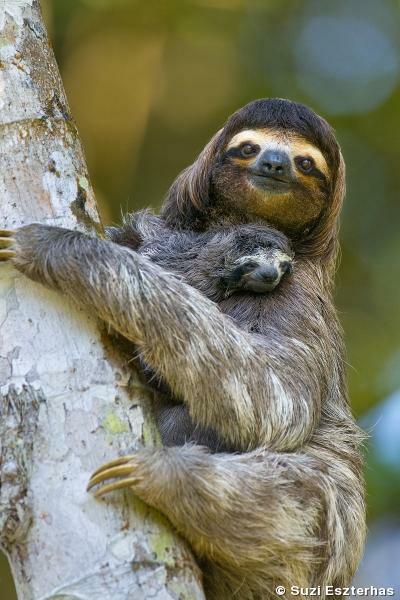 Sloths perch very high in the vegetation and are camouflaged by both their coats and languid movements. 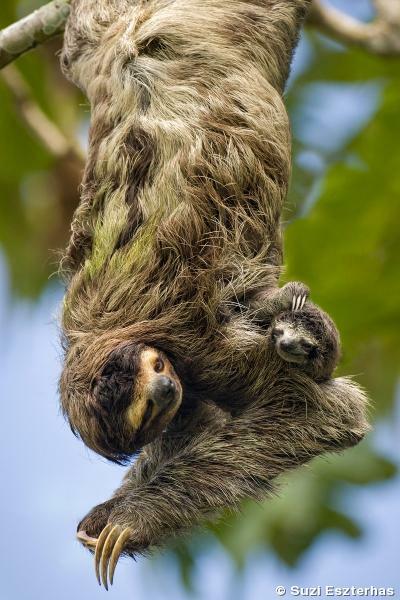 Once she and Cliffe located the mother in the trees each day, they’d lie down on the forest floor to keep watch. 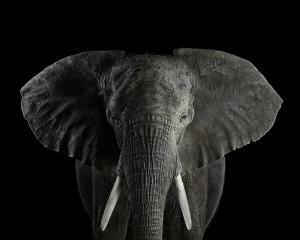 “You spend most of the day hoping they come lower, and many days, they don’t,” Eszterhas admits. 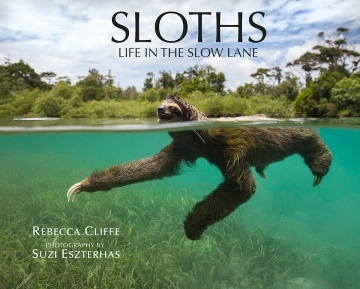 Passing the time, Eszterhas and Cliffe hatched a plan for a joint journey through Central and South America, with Cliffe conducting research and Eszterhas making photographs of the sloths—all culminating in a book. 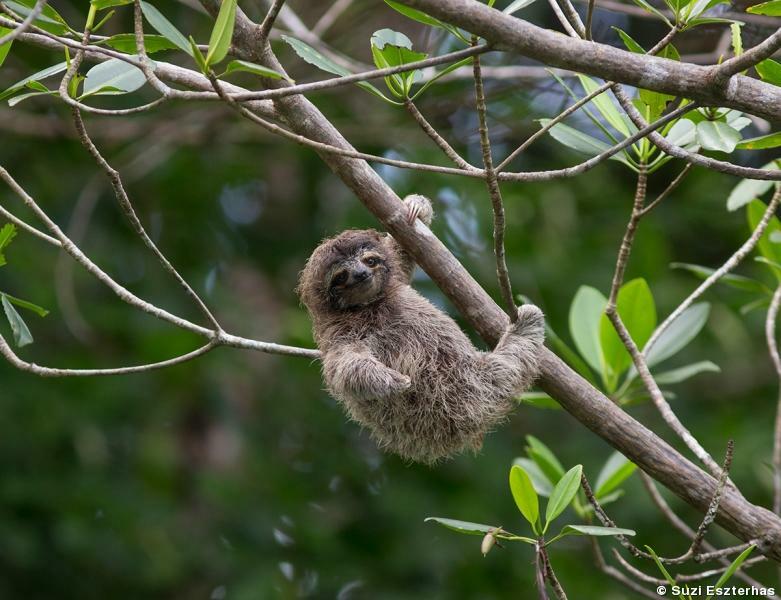 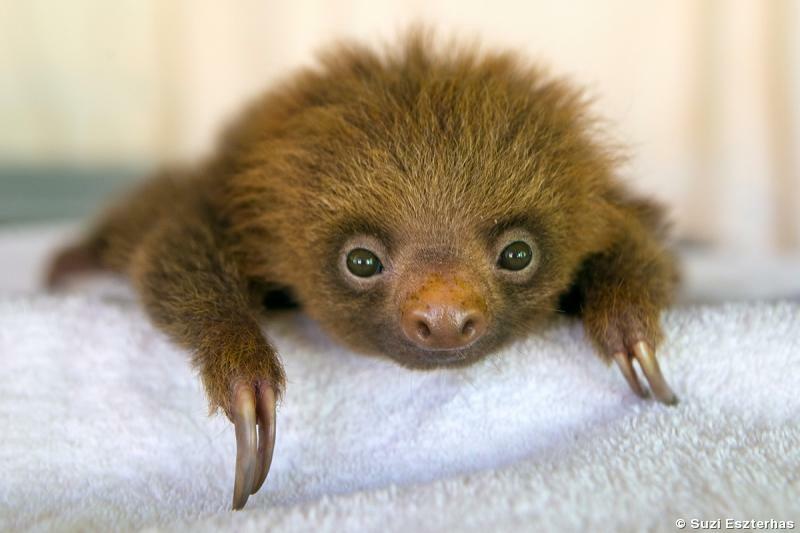 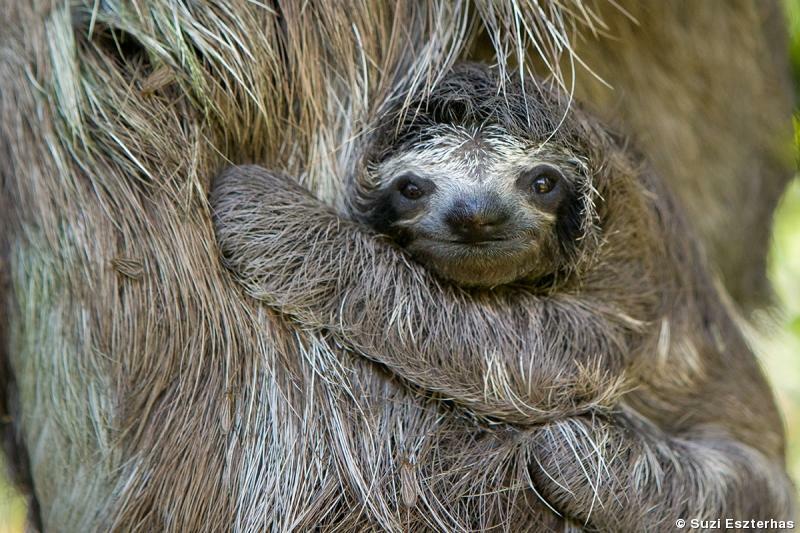 The work took place over three years and included sloth jaunts in Costa Rica, Panama, and Brazil. 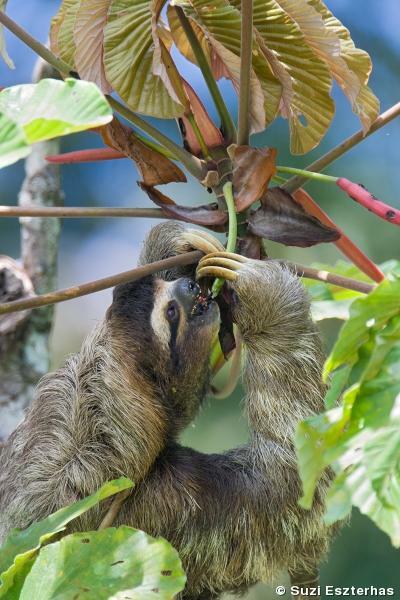 One of the most challenging adventures for Eszterhas was photographing swimming sloths in Panama. 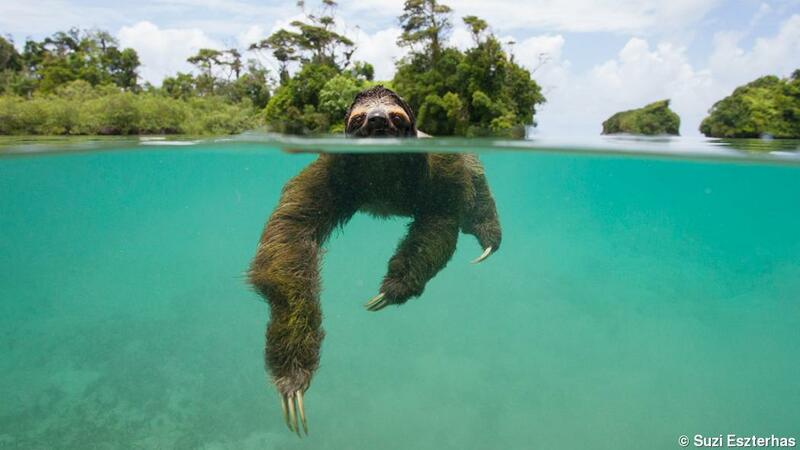 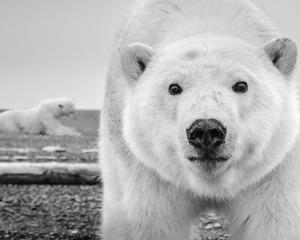 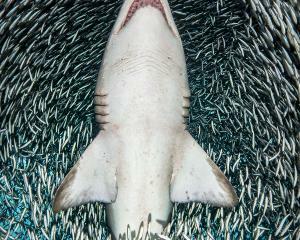 “I had never taken an underwater photo in my life,” she says, and half-overwater, half-underwater photos are the most challenging. 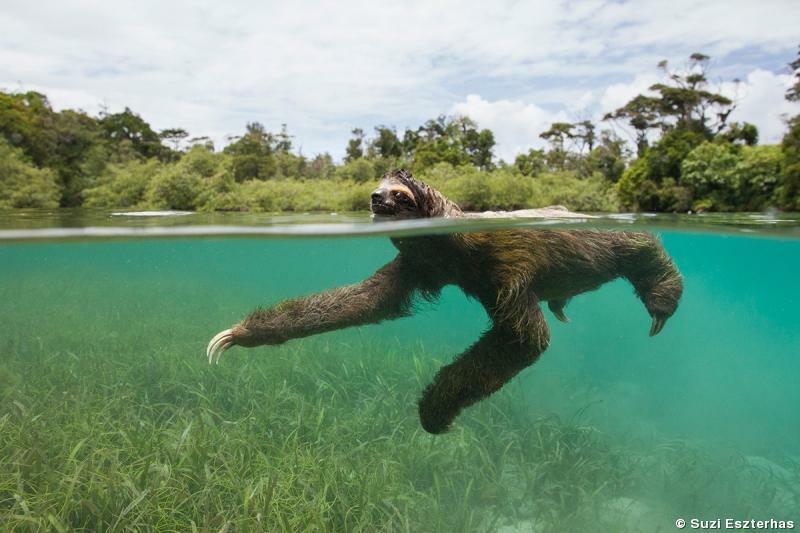 Before the trip, she practiced in a pool by photographing a teddy bear wearing floaties.